The peace and quiet that envelope a lone hiker on a leaf-riddled trail or a rock climber perched on the top of a cliff seem a world away from the noise of a social media feed. 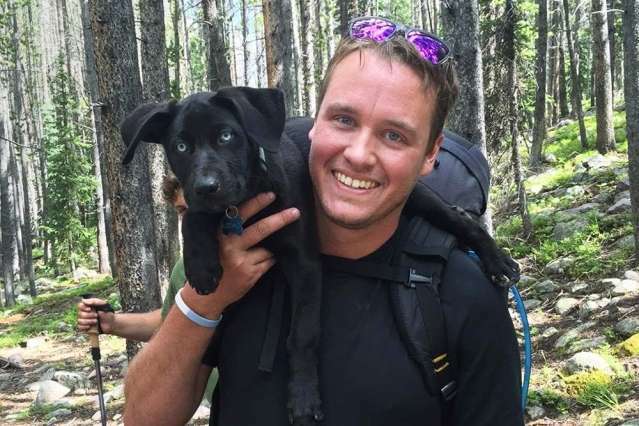 But Department of Mechanical Engineering (MechE) alumnus Jim Christian SM '14 had an idea to tap into the superabundance of social-media data to benefit athletes and outdoor adventurers. He, along with MIT Sloan School of Management alumnus Brint Markle MBA '14, created a device that could help determine avalanche risk. Their device has led to a network in which people can upload and share critical real-time information about the conditions—including avalanche risk—on a particular slope or mountain. "We want to crowdsource trip data and safety information for the outdoors," Christian explains. Their motivation inspired a free app, Mountain Hub, on which outdoor adventurers can share information to benefit others. Mountain Hub's inception began far from muddy trails and snow-capped mountains. Safely within the halls of MIT, Christian was charged with designing a product that solves a real-life problem for course 2.739 (Product Design and Development). 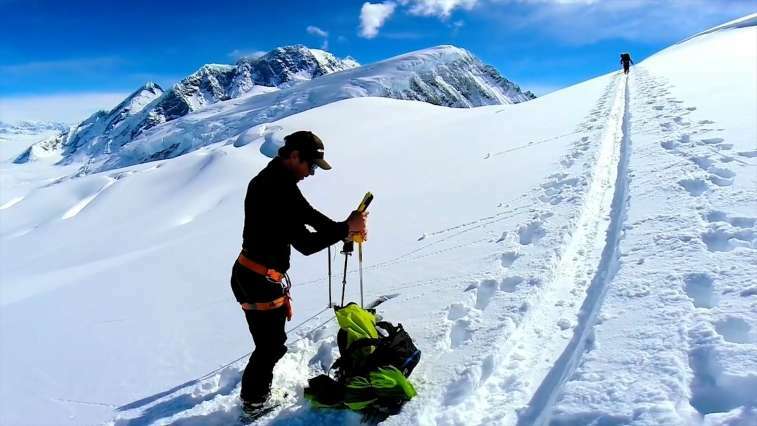 Inspired by Markle's brush with a dangerous avalanche in Switzerland, Christian and his fellow students designed a probe with sensors to measure the structure of snow. The device could be used to quickly identify weak-layers in the snowpack—critical features in assessing avalanche risk. Traditionally, the industry method for avalanche risk assessment starts with digging a hole, analyzing the snow pack in that hole, and determining if there are any weak layers. Digging and assessing a snowpit can take close to an hour and provides just one data point. The scope Christian and his classmates constructed could gather a lot more data about the snowpack in just a few seconds, and it could assess an entire mountain slope in the time it takes to dig just one hole. "Jim and his team identified an important opportunity for a new product," says Warren Seering, the Weber-Shaughness Professor in MechE who co-taught 2.739. "They all put a great deal of energy into the development process." Christian and Markle walked out of the class with a proof-of-concept prototype for measuring snowpack, and along with MechE student Sam Whittemore, they co-founded Avatech, a company focused primarily on avalanche risk assessment. Avatech's first product was the SP1—a 5-foot long probe with pressure sensors that could collect 5,000 measurements per second. The SP1 instantly generates a graph showing snow layer hardness, which snow safety teams can use to identify weak layers. This information is vital for avalanche prevention. It quickly became clear, however, that the data generated from this device couldn't exist in a vacuum. The information needed to be shared with those who would most benefit from it. Christian, Markle, and their team set out to build a network that would enable skiers or climbers to upload, share, and read real-time information about the slope or mountain they were on. The scope of the network became far greater than just snowpack assessment; customers wanted to share information about bike paths, hiking trails, and an assortment of outdoor activities. "Most mountain athletes do multiple activities all year round," says Christian. There is an opportunity for information sharing across these various activities. "What a rock climber has to say about hazards on a trail is relevant to hikers and mountain bikers in the same area." With this transition from scientific measurement tools to a social networking app, Christian and Markle rebranded their company as Mountain Hub. With technologies like a live map, terrain visualizations, and trip reporting, the app aims to diminish the danger associated with solitary or remote sports like hiking, mountain biking, rock climbing, and skiing. Christian hopes Mountain Hub will become a platform for people to share their experiences, access real-time conditions, and plan new adventures. "We are spearheading a culture of contribution and sharing in the outdoors," Christian explains. "We want to build a real-time network that has daily engaging content so that the first thing someone does before they hit the trail is open up our app."